In this fourth part of an in-depth review of 'Dr. No', we focus on the Bondian elements and analyze the ingredients for this film's version of the 007 formula. What more can be said? Binder writes himself into history with the gun barrel to begin them all. I love the noise that cues up before the lead into the gun barrel. It sounds like the noise a radio signal would make, as if the film is announcing to audiences that a change in cinematic history is arriving with James Bond’s big screen debut. The booming, ear-shattering blast from the gun as Bob Simmons finishes his walk concludes the sequence nicely. Although his movements feel a little forced, overly staged and unnatural, it gets the job done. The only drawback here is that it’s not Sean doing the walk and shoot, and we don’t get that pleasure until 1965. There’s a great sense of atmosphere visible in this film, and that’s all down to the amazing location shooting we get here. Everything in Jamaica feels alive, and for those of us viewing our Blu-ray copies of this movie, it’s like being there right with Bond. The filmmakers strove to show off a lot of the great culture of the place, opening up a real window into what it’s like to be in Jamaica. You see the very tropical designs of the interiors to homes, hotels, and offices, the palms frolicking in the wind everywhere, the jumping, feverish dancers at the clubs, and of course the beautiful greenery and sands of the beaches. Everything we see feels lived in, and it is very much like watching a visual travelogue of the location that is genuine and exotic all at once. There’ a lack of gadgets here, but I prefer it actually because it means Bond must think on his feet more than anything and put his wits to use to face the threats waiting from him in Jamaica. The absence of gadgets really makes this feel like a straight up espionage thriller with no frills, and it’s all in Dr. No’s favor, as it also makes it feel more Flemingesque on top of it all. Armed with nothing but his brain and PPK, it’s game time for Bond. 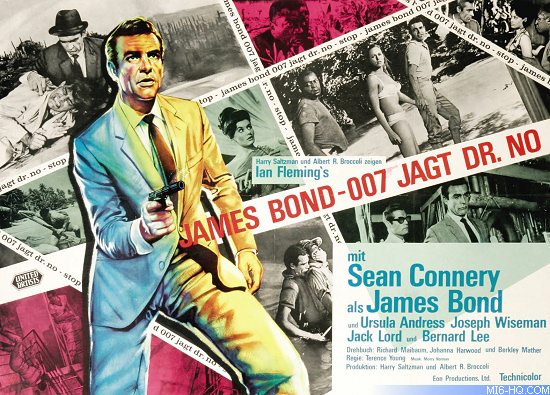 While Dr. No isn’t as action packed as entries in the series would eventually grow to be, what we’ve got here does the job and feels in touch with the world Bond exists in, as the fights are rough and messy. We get a small taste of action with the short but sweet fight and flip Bond gives Mr. Jones, the back projection car chase, and then the many series of close-quarters fights Bond has with Dr. and his agents after he puts the nuclear reactor in overload mode. It’s not the best action or stunt work we’ll see in the rest of the franchise and it's beaten out easily by just its immediate sequel, but the stripped down, no frills action does the job, and the rough and tumble fights we see accurately characterize Bond and his enemies as men who pull no punches and fight to kill. As is the case with many Bond films, especially the Craig era, I laugh or grin in moments where Bond gives a mere look that says everything about how he’s feeling. Such is the case here with this film. Sean’s expressions during the dinner with Dr. No and his obvious boredom at hearing the droning arrogance of the man are delicious, as is his awkward discomfort and surprise when Honey tells him she has killed a man. Moments of humor dot the film, but it’s never silly or cheesy, and always perfectly in touch with the kind of dark world Bond exists in, and the equally dark humor he’d need to get through it. Overall, like any good mystery, Dr. No’s plot is extremely well-constructed and overall, believable, especially for the Bond series. This film, like From Russia with Love, Goldfinger, and Thunderball after it most especially felt Flemingesque because, for all their style, sensational thrills and escapism, they felt rooted in some sort of reality. 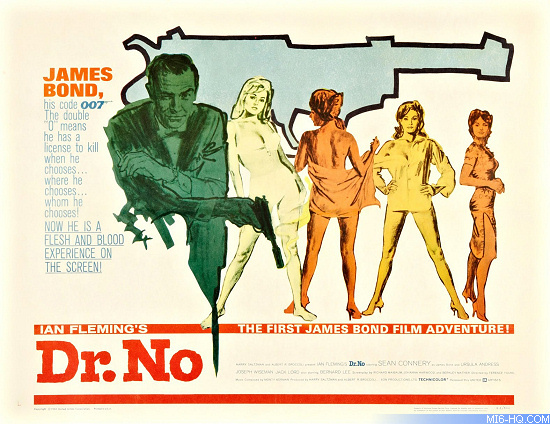 The story of Dr. No unfolds like a mystery would, with Bond uncovering hints of a greater conspiracy gradually over time with twists thrown in between, until all the puzzle pieces align and Dr. No is exposed when his veil is torn away. The only aspect of the plot that doesn’t hold up is the idea that a simple paste and a bit of liquid bathing could wash away the radiation Bond and Honey were exposed to out in Crab Key - radiation they came into contact with sans the protective outfits all of Dr. No’s men are wearing. I suspend my disbelief and just deal with the silliness. Bond is too much of a man to get killed by something as wimpy as radiation anyway, right? At the time of Dr. No’s release, the worldwide space race was very much a reality, ushered on by president Kennedy in America, who gave the movement a charming face. The idea of Dr. No manipulating shuttle launches and foiling American attempts at getting into space, then, feels extremely relevant to that time period and not too “out there” to believe. No’s scheme is fascinating, because it gives us a great introduction to just what SPECTRE’s ultimate aims are, ie., manipulating other nations and obstructing the progress of nations they see as threats or deserving of a little agony. Why No is doing this scheme is up to us to imagine, but that’s also what makes his character so fascinating. The toppling of the American shuttles could be a mission Blofeld specifically assigned to No to drum up discontent in America and maybe get them paranoid that the Russians, not SPECTRE, were ruining their launches to get a war going between the world powers that they could profit off of (as in the later You Only Live Twice). Or, much more interestingly, maybe Dr. No was toppling shuttles just because he had the technological capabilities to do so, and instead of taking money or power as payment for it, this personal mission of his was a nice middle finger from him to the Americans for turning his genius down in the past. Either way, I love the scheme, and I love Dr. No for orchestrating it. 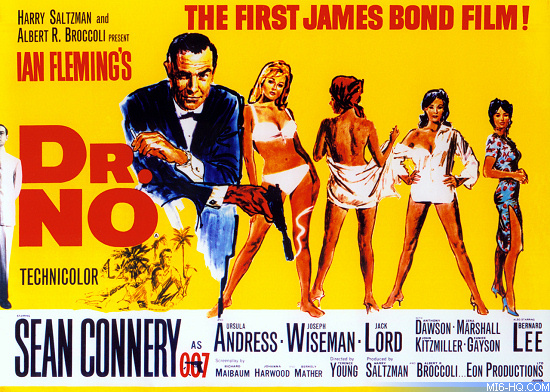 Part five will cover the cinema craft of Dr. No'.